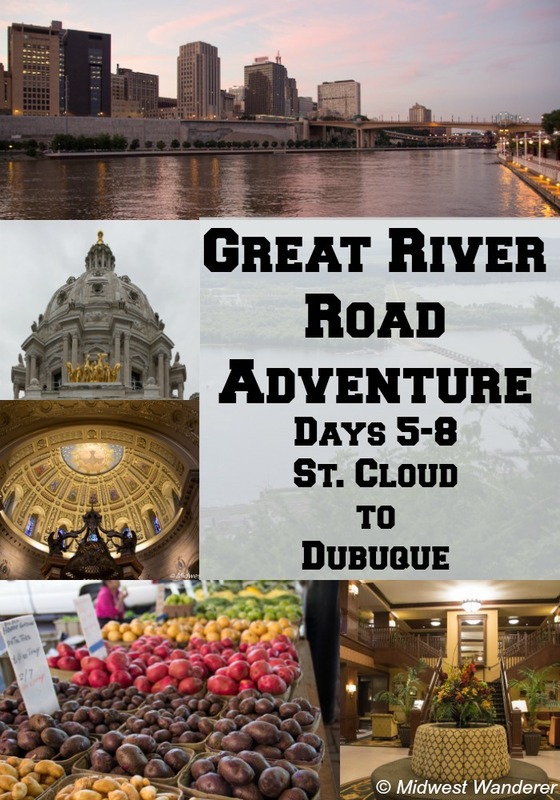 Listen to our adventures as we drove the Great River Road from the Headwaters in northern Minnesota to the Quad Cities. On days 5 through 8 explored the area from St. Cloud, Minnesota, to Dubuque Iowa. Listen to days 1 to 4 here. 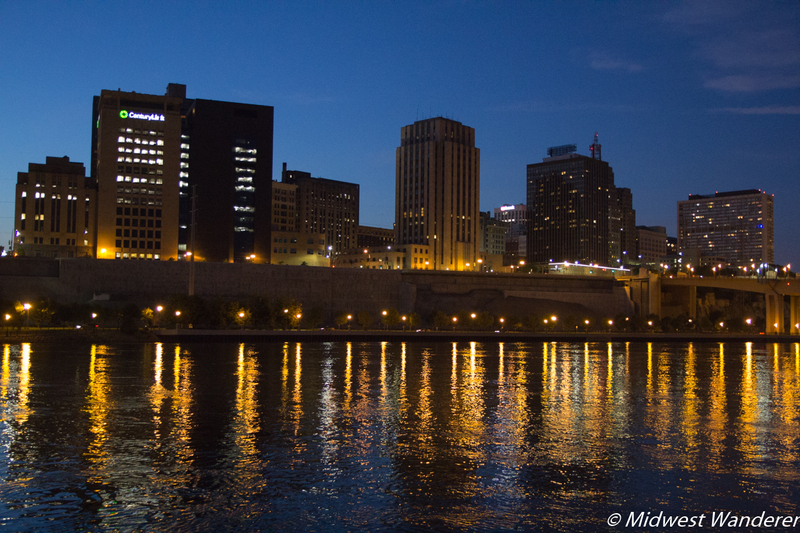 Early on Day 5, we left got back on the Great River Road in Saint Cloud and continued to our destination in Saint Paul, Minnesota, where we would stay for the next two nights. We try to tour a state capitol whenever we visit a capital city. 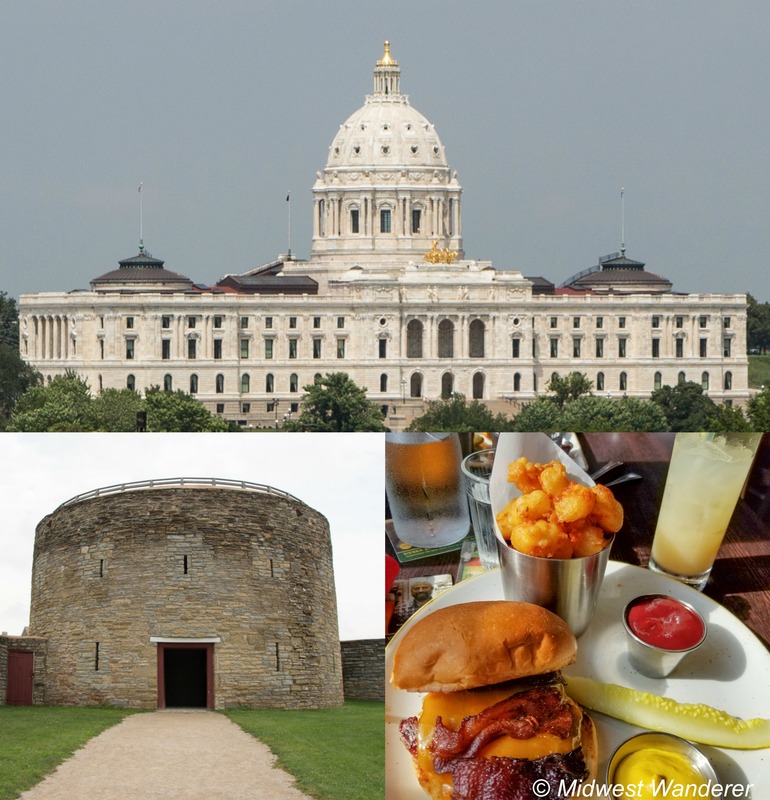 So, on Day 6 that’s what we did in Saint Paul, followed by historic Fort Snelling. We ended our day relaxing on the deck of the floating Covington Inn Bed & Breakfast, our Saint Paul accommodations. After picking up a healthy road trip snack food at the Saint Paul Farmers Market, we got back on the road. We passed back and forth between Minnesota and Wisconsin and stopped in Alma, Wisconsin. 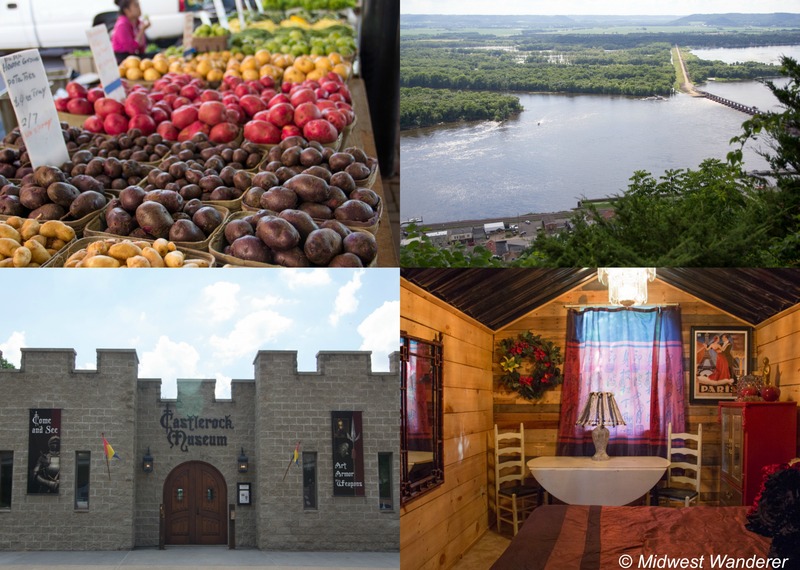 In Alma we visited the Castlerock Armor Museum, stopped at an overlook, and ate dinner, before continuing to our glamping experience at the Sleepy Hollow Campground in Fountain City, Wisconsin. 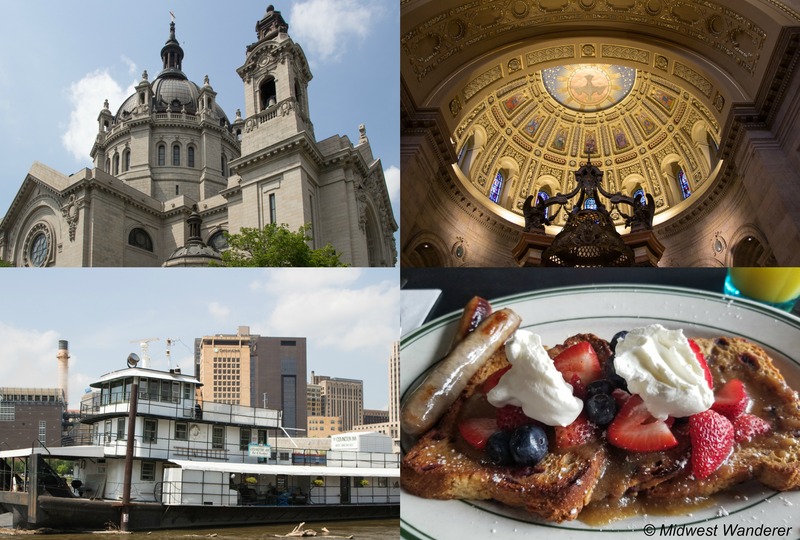 Back on the road, we again crossed back and forth between Wisconsin and Minnesota, stopping for Mass at the Shrine of our Lady of Guadalupe in La Crosse and brunch at the shrine’s restaurant, Culina Mariana Café. 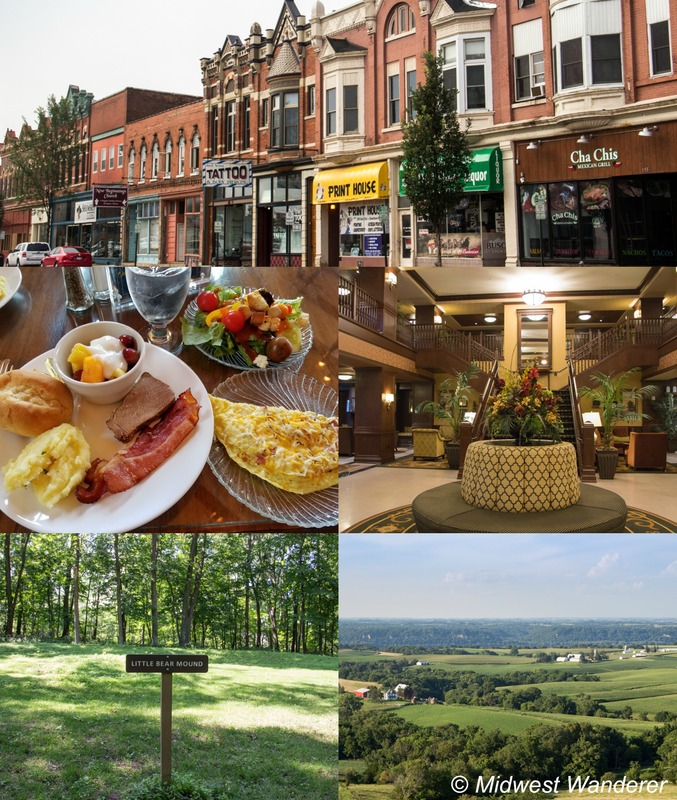 Coming into scenic Iowa, we hiked at Effigy Mounds before finishing our day in Dubuque, at the hotel named for the city’s founder, Hotel Julien Dubuque. 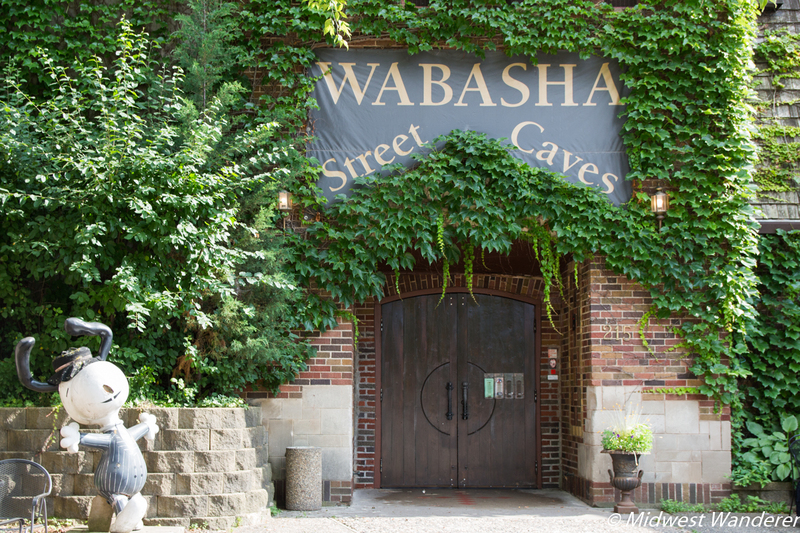 Stay tuned for the conclusion of the Midwest Wanderer Great River Road adventure.